Our Online Invitation Manager allows you to electronically manage event RSVP's from an eCard, your website, blog, social media or email program. 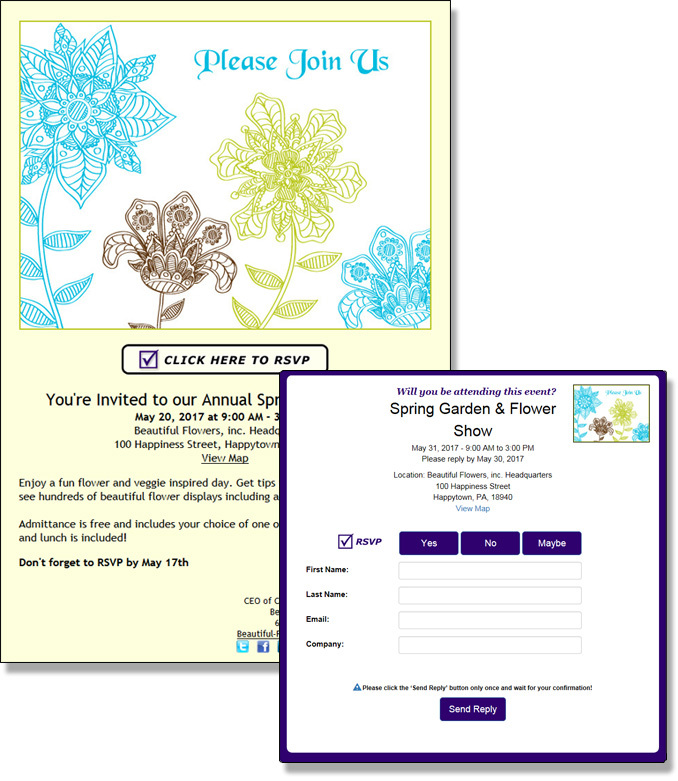 Your guests can respond from an eCard or a direct link to the invitation response form. The Invitation Manager records the responses so you can download and print guest lists as well as send follow-up messages. You can also easily combine online invitations with the survey manager for a wide range of uses as described in the tutorial below. An unlimited number of events and invitations can be sent from your account each month. This is all included in your monthly subscription.